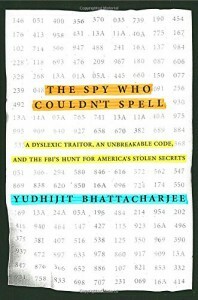 This is a very interesting book about an American spy, Brian Regan, who was known as the Spy Who Couldn’t Spell. Regan wasn’t the typical spy. Most people thought of him as not being very intelligent, mostly due to his dyslexia. But he was able to amass an amazingly large bulk of highly sensitive intelligence and turned out to be a brilliant cryptologist. Steven Carr is the dedicated FBI agent hot on his trail. 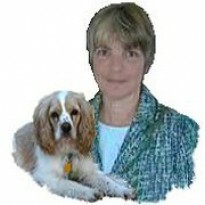 The book is written in a journalistic style and is very easy to read and understand. I found the spy hunt to be a fascinating one. I also enjoyed the author’s reconstruction of Regan’s childhood and upbringing in an effort to create an understanding of how a spy was born. Not quite as fascinating was the prosecution of Regan but it still kept me interested. This is not written as a thriller but is more a methodic, years long hunt for a spy. It’s well written and I found it quite frightening to see how easy it was for Regan to accumulate America’s secrets and how willing he was to sell those secrets to our enemies. I felt much anger at Regan and his desire to betray his country for money and found nothing in his history to give me any sympathy for him. Congratulations to all those who brought this ignoble spy down.